PeerJ. 2017 Feb 23;5: e3041. 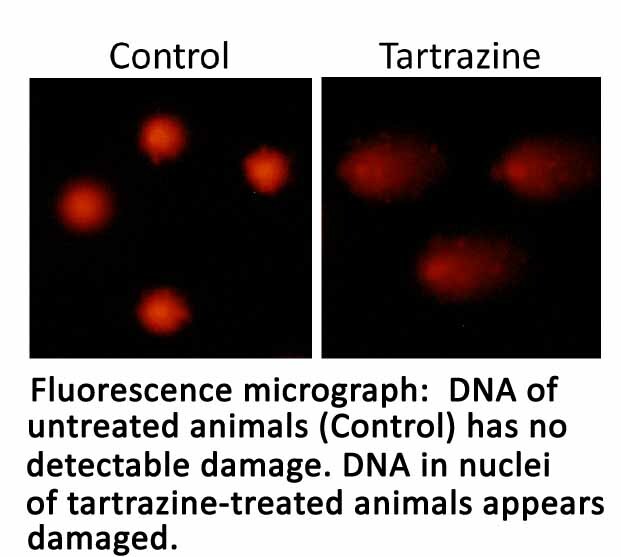 This study was done to evaluate the possible adverse effects of the color Tartrazine (Yellow 5) on kidney and liver function and structure in rats, as well as its affect on white blood cells. For 30 days, in addition to their normal food, rats in the control group were given 1 ml/kg body weight of distilled water, while rats in the Tartrazine group were given Tartrazine dissolved in 1 ml/kg distilled water at the human ADI (acceptable daily intake) level of 7.5 mg/kg of body weight. Besides indicators of kidney and liver damage, the treated rats also had an increase of oxidative stress, as well as deformation of mitochondria. This entry was posted in 2016-2020, Animal Studies, Food Dyes, Research Studies. Bookmark the permalink.